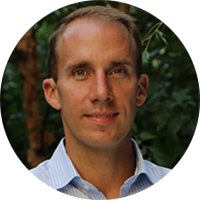 Pierre Meslet graduated from the European School of Osteopathy in 2011. After working as an associate osteopath in Singapore for several years, he now practices in London, where he treats patients of all ages. Pierre has a special interest in sports osteopathy and was a member of the medical team at the London 2012 Olympic Games and 2017 World Para Athletics Championships. He is keen to contribute back to the profession and to the school where he trained and lectures part-time within the ESO teaching clinic. When did you first hear about osteopathy? I discovered osteopathy after suffering a neck injury caused by diving into the wrong end of a swimming pool. I was advised by a senior physiotherapist that while physio was fine for rehabilitation, for an injury such as mine osteopathy would be more suitable. I then looked for an osteopath close to where I lived and found Christine Dierick, a graduate of the ESO. After 5 sessions my neck was sorted. What made you decide to study Osteopathy? As a teenager in France I was a keen athlete – my ambition was to compete at high level. Despite doing well in table tennis and athletics, I quickly realised I wasn’t going to be a professional athlete. I studied for a degree in Sports & Exercise and Science and then went on to study in Canada for a Diploma of Physiotherapy. Although the course was good, I didn’t feel I was equipped enough to treat acute, non-surgical conditions and I wanted to upgrade my knowledge and gain more hands-on techniques. As I had experienced osteopathic treatment I knew the difference it could make – the ESO had a great reputation so I decided that was where I wanted to train. After gaining my Master of Osteopathy, I practised as an associate in several clinics in London. My wife and I always wanted to travel to Asia and that is why 6 months after graduating, we jumped at an opportunity to move to Singapore. I was pleased to find a high demand for osteopathy and I was lucky enough to get offers from 4 main practices. Being a native French speaker was definitely an advantage and I soon built up my patient list. After 4 years in Singapore we decided to move back to London so that our baby girl would be born in Europe. Having worked as an associate for several years, I was keen to develop my own practice. I currently work 2 days within an osteopathic clinic located in South West London and 3 days for myself offering home visits in Central London. How did you get involved with the London Olympics and Athletics World Championships? I’d always dreamt of being in the Olympics and when the opportunity came to be part of the 2012 volunteer programme I was determined not to miss it. Despite a lengthy application process (that started in 2010), it was similar to any other job application. At the time I hadn’t gained the 5 year post-qualified status needed to work as an osteopath during the Olympics so I applied as a Sports Massage Therapist. It was a fantastic experience so when London was selected for the 2017 Athletics World Championships I applied straight away and this time chose to be involved with the Para Athletes. I was accepted both as an osteopath and as a sports massage therapist, which I was really happy about. I can honestly say that my career has already exceeded my expectations. I never thought I could have such a flexible diary. I mainly imagined osteopaths working long days (starting early, finishing late with a break in the middle of the day) in a clinic that often belongs to someone else. The reality showed me that it is easier than expected to open your own limited company and then practice either in a clinic or doing office and home visits like I do. Although I always wished to participate in international level competitions, I wasn’t sure how achievable that was for a profession that is still considered young in the sport industry. I am constantly amazed by how much osteopathy can benefit patients’ aches and pains. Having spent several years working in Singapore and Canada, I now know I can work almost anywhere in the world and that is very exciting.